He Said: I Am Disappointed of my Church. I Need to Know the Truth! 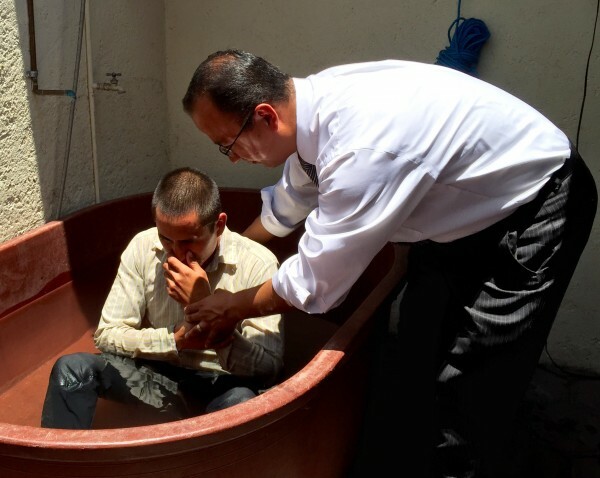 Javier after he got saved in front of our church! I just finished preaching about reaching the lost. And the other day I preached about the man at the gate of the church that was asking for alms, and Peter and John gave him, not money, but salvation — and now this man, is right outside our church asking for help. So, I preached unto him Jesus! and Javier got saved! Today we had and incredible church service. We had a full house. We had 6 first time visitor in the morning and 3 first time visitors tonight. We also had two saved in the morning and one young man saved at night. 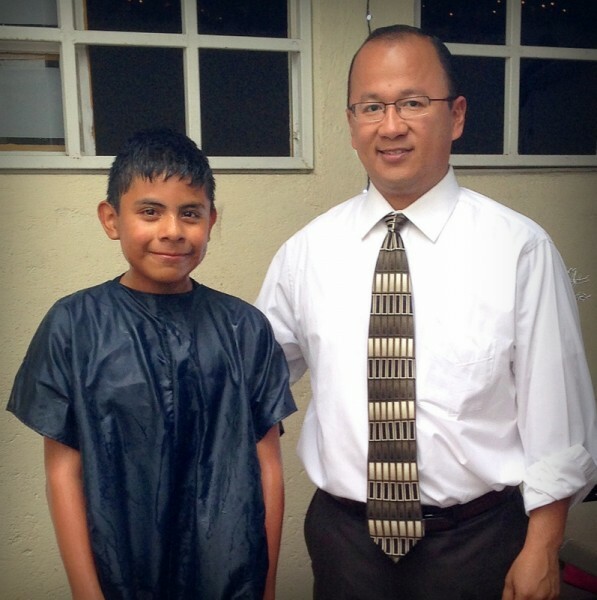 Last week we had Juan Jose getting baptized. 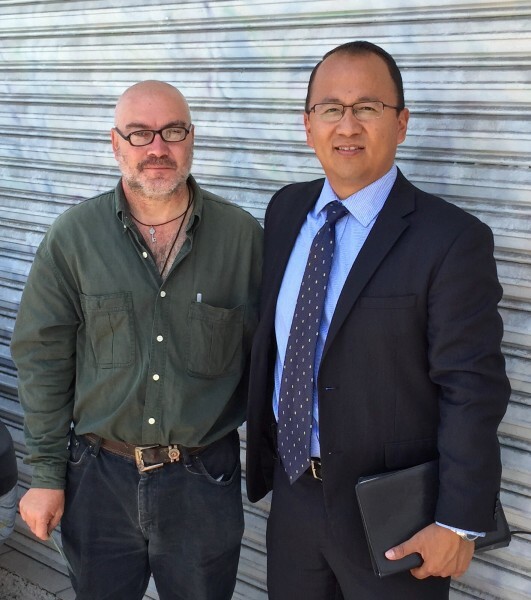 He and his wife have been struggling financially and spiritually. His wife has even told me of things happening in their house — as in demonic things, but since the started to come to our church, everything is now peaceful once again. Last week on Saturday, as we soulwinning with our church, God allowed me and my wife to lead two people to Jesus. One of them is Jose Ramon Perez, and the other man is Aniceto Leon Perez. Aniceto had a tract from our church and was reading it while he was sitting down in the street. I asked him if he understood the tract and if he needed help. He accepted my help. I explained the tract and with the Bible I showed him how he could have eternal life. Praise the Lord he got saved! Please pray for our church this coming week. We are holding our Annual Leadership Conference here in Puebla. We have invited several pastors to come and preach during our conference. They are: Pastor Kevin Wynne, Pastor Luis Ramos, Pastor Luis Parada, Pastor Ezequiel Salazar and Pastor Oscar Galvan. They are all being used by God and I know they are going to be a tremendous blessing for our church and the more that 30 pastors that are coming to hear them preach. We are expecting to have more than 400 people during the conference. Thank you and God bless you! First of all, let me say that we have been so blessed to be serving our Lord here in Mexico. We are very thankful for all of His blessings and all the things that he allowed us to do in His service. We pray that God will help us do more this 2015, and we pray that God will do more in each one of you as well. Happy New Year! We started the year right, with people saved in our church and two baptisms! One of them, Eduardo, has been coming to our church for quite a while. A week before getting baptized, he told me that he did not remember if he had been baptized or not, so he asked his family, if they new by chance if they new if he got baptized as a little boy. They said no. So Eduardo made things right and got baptized. Recently, the City of Puebla, added a new public transportation service called “metrobus”. This bus is good for the people, since it will help them get around the city faster and easier. The problem with this metrobus is that it has already affected our parking area in front of our church. There is no place for cars to park as they used to in front of our church. This problem, and the fact that we don’t fit in our church and our vision to grow, leaves us with the need to move to a different place. Please help us to pray so that this year we can find a piece of land at least twice as big as our current property. Thank you! We start our spring semester of our Bible Institute this coming Tuesday. We have eight teachers ready to teach! Among them four Pastors! including me. We are expecting between 7 to 10 students for this semester. Our classes are in the morning from Tuesday to Thursday. This is our sixth year and God continues to bless! Last month, during the Christmas vacation, we printed 10,000 tracts and we went to downtown Puebla to give them out. It was so exciting to see our church people, with a heart for souls, give this tracts and share the Gospel with people. Today we had a total of 10 first time visitors in our church. One of them is a lady named Angeles. She came to church as a result of a Bible class that I give every Thursday in a house of one of our church members. She seem to enjoy Sunday School and Church and she said that she made the decision to keep on coming every Sunday! Praise the Lord! Please pray for Pilar Ortiz. She is a lady that I led to the Lord few days ago. She lost all mobility of arms and legs back in September. She contracted a disease that affects her nervous system. She is very sad that she can not move, but now, very happy that she is going to Heaven! For our upcoming trip to Texas in September to renew our van’s permit. Thirteen Surrendered For Full Time Service! Sending Out Our First Missionary!